8" wide x 6 1/2" deep x 13" high. Designers take note! Here is a Pair of Wall Sconces from the Art Deco Era that are sure to please the eye. They are in mint condition and would be a fun addition to any decor. 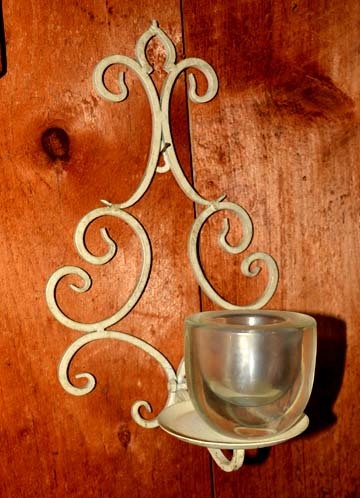 They are iron with thick glass candle holders. The ambiance and peacefulness surrounding these sconces is sure to relive your anxiety after a long day. 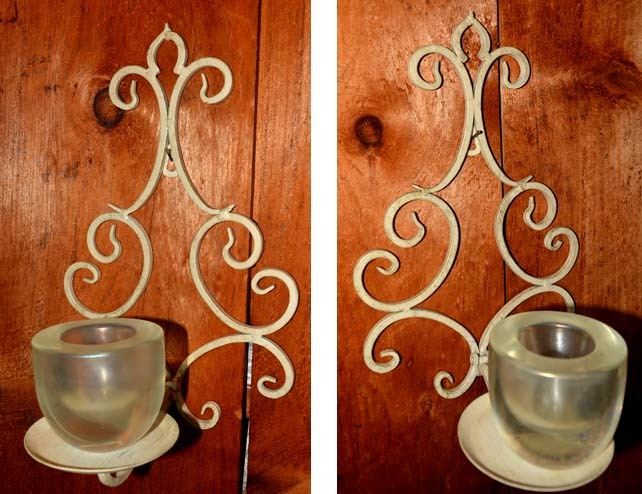 Take a good look at these lovely sconces.